Inside the human body, a certain type of special cell exists. It is an "unspecialized cell" that can divide and develop into specialized cells. Human embryos are loaded with these unspecialized cells called STEM CELLS. They have garnered much attention in the news because scientists have used lines of stem cells obtained from aborted fetuses to research their potential uses in medicine. However, other sources of stem cells are available. One source is the placenta and its blood. Stem cells from this source are now being frozen and stored for the individual should they require some type of therapy that stem cells have proven effective for. In 2007, researches discovered that the dental pulp--that portion at the center of a tooth which contains the nerve--is also a source for stem cells. This ground breaking discovered made stem cell therapy a reality for many more people. If placental blood was not harvested and saved, the ability to benefit from stem cell therapy was remote and difficult, however, with the discovery of stem cells in dental pulps, we have opened up a whole new realm of possibility. So, what can stem cell therapy do for me? Stem cells can regenerate damaged tissue. Placed into the right environment, the "pulripotent" stem cells can change into cells that belong in this area of the body and regenerate the tissue that was damaged or loss. For instance, researches in diabetes are hoping to use stem cells to regenerate the Isles of Langerhans--that area of the pancreas responsible for making and secreting insulin. Other researchers believe that stem cells can regenerate portions of the heart destroyed in a heart attack! Still other researchers have grown skin in laboratories to covered areas of major burns. Therapy for spinal cord injuries, cancer and a host of other life threatening diseases have potential cures with the stem cell, but they have to be yours or a VERY CLOSE MATCH. When foreign cells--those from another individual--are placed in the body, our immune system goes into attack mode. These foreign cells are seen as invaders and our immune system must destroy them. This is not a good environment for fragile, immature cells to work to reconstruct lost or damaged tissue. By having our own stem cells saved for potential future use, we avoid this problem. Today, you can save your own stem cells derived from the dental pulp or your children's from their baby teeth. 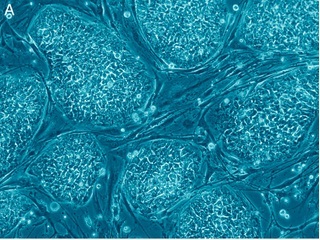 By harvesting and saving such cells, you are ensuring a supply of stem cell should some ailment or accident require such a therapy later in life. Extracted teeth can provide you a priceless supply of your own stem cells--a supply that could save your life or the life of your child. If you are at all interested in harvesting stem cell from extracted teeth, they must be harvested from healthy teeth, such as wisdom teeth, baby teeth about to fall out or other non-decay and dead teeth. Dr. Titus can tell you more about this stem cell harvesting and the cost associated with it. * Photo Courtesy of Wikipedia Commons, on their webpage concerning stem cells.